Ashton Carter may be a good defense secretary: Why does the United States have so few people qualified to run the Pentagon? Ashton Carter may be the right person to lead the Pentagon, but why was the shortlist of candidates so short? 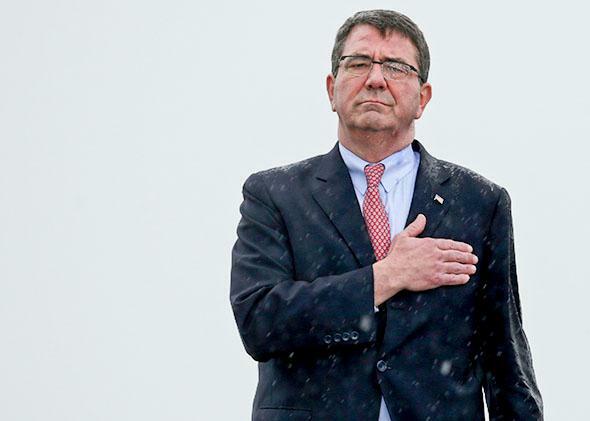 Whether Ashton Carter works out as defense secretary depends on what Obama wants from him. President Obama is about to nominate Ashton Carter as his fourth secretary of defense, and it’s fair to ask why the previous three burned out so quickly. Many news stories, including one in today’s New York Times, blame it on the “resentment” bred by White House “micromanagement.” Others lament the short supply of great men and women for the vaunted position. But such views are false or misleading—figments of ahistorical sentimentalism. Harry Truman had four secretaries of defense; no one regards his White House as excessively insular. Dwight Eisenhower, Richard Nixon, and Bill Clinton each had three. Jimmy Carter is among just two presidents who got through a single term with a single defense secretary (the other was George H.W. Bush). * Does anyone recall the Carter years as a shining era for American defense policy? Charles Stevenson, author of SECDEF: The Nearly Impossible Job of Secretary of Defense, notes that more than one-third of those who have held the post since it was created 67 years ago—nine out of 24—have been fired or forced out of office. By contrast, just two secretaries of state have been ousted in the 225 years of that job’s existence. So many Pentagon chiefs have been punted not because they were ineffective or inefficient (though some were, including, it seems, Chuck Hagel), but rather because they ran into conflicts with the president, the Congress, or the military. Stevenson says that a defense secretary has four jobs in one: manager of the Pentagon and the military, adviser to the president, war planner (when there is a war, and there often is), and diplomat to allies and adversaries. He or she has to do two or three of these jobs really well; few people can. Still, it’s no secret that the bench of really good candidates for the job—among Democrats and Republicans—is remarkably small. In the past few decades, top-rated universities have handed graduate degrees to hundreds, maybe thousands, of smart students in departments of national-security studies. Many of these people have ably filled second- and third-tiered posts at the Pentagon, the State Department, and the National Security Council. But their training doesn’t prepare them for the top executive slots. In Cold War times, many businessmen, bankers, and lawyers were placed in the top-tiered slots, and the fit was smooth. Their professions lent them experience in managing large organizations. And their business interests coincided with national-security interests: The dominant conflict of the day was capitalism vs. communism, and who better to grasp the contours of capitalism’s interests than a successful, internationally minded capitalist? Today, business interests sometimes coincide with national interests, but at least as often they diverge—or have little to do with one another. The main challenges—terrorism, rogue states, nuclear proliferation, shifting regional powers, pandemics, climate change—don’t fit the traditional categories. What kinds of professions serve as natural breeding grounds for the 21st-century secretary of defense? The answer isn’t clear. Robert Gates famously disliked the politically minded young staffers in Obama’s White House, but that’s not why he resigned. He’d agreed to stay on with Obama (after serving two years under George W. Bush) and wound up staying two-and-a-half years. He was exhausted. He also started to lose budget and policy fights for the first time, and that angered him. Until then, far from being micromanaged, he got his way on almost everything. His successor, Leon Panetta, lasted a year-and-a-half, after spending two-and-a-half years as CIA director. While at both jobs, he flew home to California almost every Thursday night and returned to Washington on Monday morning. He didn’t complain of micromanagement until he wrote his bitter memoir, but clearly his three-day workweek warranted some kind of supervision. As for Hagel, his supporters blamed Obama and the White House for cutting him off. But that’s far from the majority view. Since writing my own account of his departure, one former senior official told me that, at every NSC meeting, Susan Rice, Obama’s national security adviser, would ask Hagel for his views. Hagel would usually say, “I agree with John,” referring to Secretary of State John Kerry, or “I agree with Martin,” referring to Gen. Martin Dempsey, chairman of the Joint Chiefs of Staff. Obama brought him into his office for private chats on his views about fighting ISIS or some other issue; it turned out he had no compelling views. So, back to Carter. It’s very unlikely that he will be another Hagel. From 2011 to 2013, Carter was deputy secretary of defense—meaning, among other things, that he sat on the Deputies’ Committee meetings at the NSC, dealing with White House staff and the deputy secretaries of other departments. By all accounts, he was an active participant in those meetings: He’s a known, respected, even if sometimes argumentative, quantity. The deputy secretary of defense also, by tradition, runs the day-to-day operations of the entire Defense Department. For two-and-a-half years before he took that job, Carter was assistant secretary of defense for acquisition, technology, and logistics—which involved supervising all the weapons systems: dealing with program managers, industry executives, and congressional committees. From those forums too, he’s known and respected; Senate leaders have already deemed his confirmation a slam-dunk. Two questions are open. First, how skillfully will he make the move from being the guy who manages the enterprise behind the scenes to being the guy who openly makes the decisions? The two jobs require different skills, instincts, and degrees of stamina. Second, what does he know about broad issues of policy, and how cogently can he express his views? He hasn’t really held a policy position; in the Clinton presidency, he was assistant secretary of defense for global strategic affairs, but, at the time, it dealt mainly with nuclear arms control talks, cybersecurity, space policy—issues that fit his technical background. Whether Carter works out depends on what Obama wants from him. If he wants a placeholder for his final two years in office, someone who can run the Pentagon with an iron hand and a thorough knowledge of the building and the industry, Carter might be the most qualified person out there. If he wants advice on the crises of the day, from the vantage of the top civilian official (an insider-outsider in the Pentagon), then Carter is a bit of a gamble. (Michèle Flournoy, the former undersecretary of defense for policy, would have been a surer bet, but she dropped out of the running, citing family obligations.) At the same time, people who know Carter say he’s very smart, a fast learner, and a strong advocate for whatever views he’s pushing. The question then is what he’ll be pushing. *This does not include secretaries of war, a very different position in any case. Of the 24 secretaries of defense since 1947, when the Defense Department was created, Donald Rumsfeld is counted twice.